$55.00 (includes all materials needed to complete the design). COURSE DESCRIPTION: This charming geometric sampler was originally designed for a needlework contest that required a piece to be executed in just one stitch. I chose Parisian and all three fillings in this nine-patch arrangement are multicolor variations of this traditional solid pattern. The main framework with corner motifs and the inner borders of two of the squares are composed of isolated shapes within the same pattern. 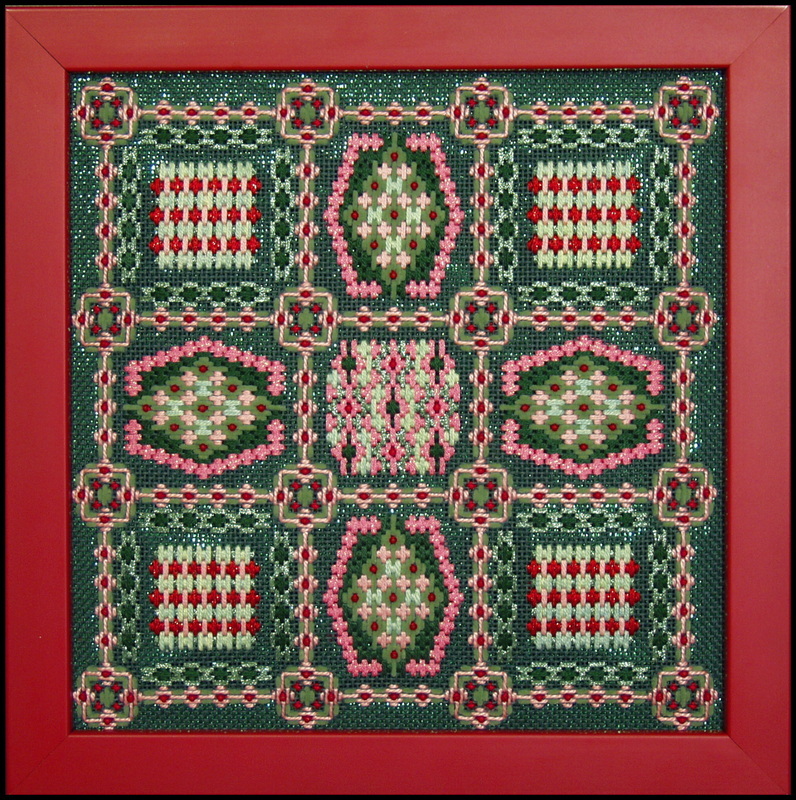 Color Choice: Model uses pink/red threads with sage green accents on a dark green canvas. Students may substitute coral/red threads in the green option or may choose coral/red threads or pink/red threads with light blue accents on a vintage blue canvas. Prework: Step 1 of the main outlines for four areas must be placed prior to class. Estimated Time: 2-3 hours. Students provide: 12" X 12" stretcher frame.